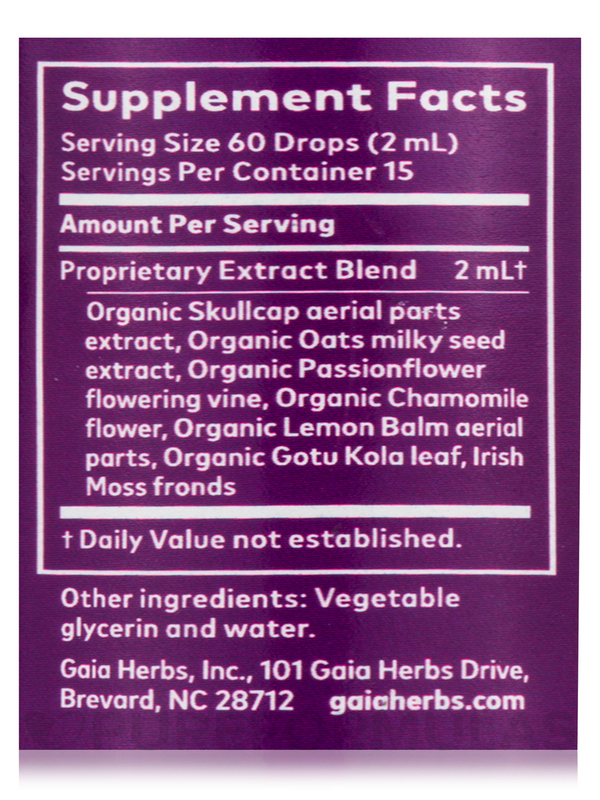 I did not get to use Attention Daily Herbal Drops by Gaia Herbs because there is mold in the dropper. I do not want to give this to my child. Improve concentration and alertness in your kids with Attention Daily Herbal Drops for Kids (Alcohol-Free) 1 oz (30 ml) from GaiaKids®. This alcohol-free formula appears to support proper nervous system function while maintaining healthy nerve tissues. The calming effects of Lemon Balm Herb or Melissa Officinalis may help alleviate anxiety and irritability. Matricaria Recutita or Chamomile flowers and Passionflower or Passiflora Incarnata may relax muscles‚ boost immune system‚ and promote good sleep. They may also help with allergies and nervousness. The sedative property of Skullcap herb might help combat sleeplessness‚ anxiety‚ and more. It reportedly promotes relaxation in children and calms nervous irritability. Wild Oats is a good source of proteins and minerals. It could potentially support the nervous system‚ induce sleep‚ and keep away symptoms of low mood. Irish Moss in this dietary supplement from GaiaKids® helps stimulate the immune system and prevent oxidative damage to the body. Gotu Kola leaf may support a healthy mood and improve memory and alertness in children. 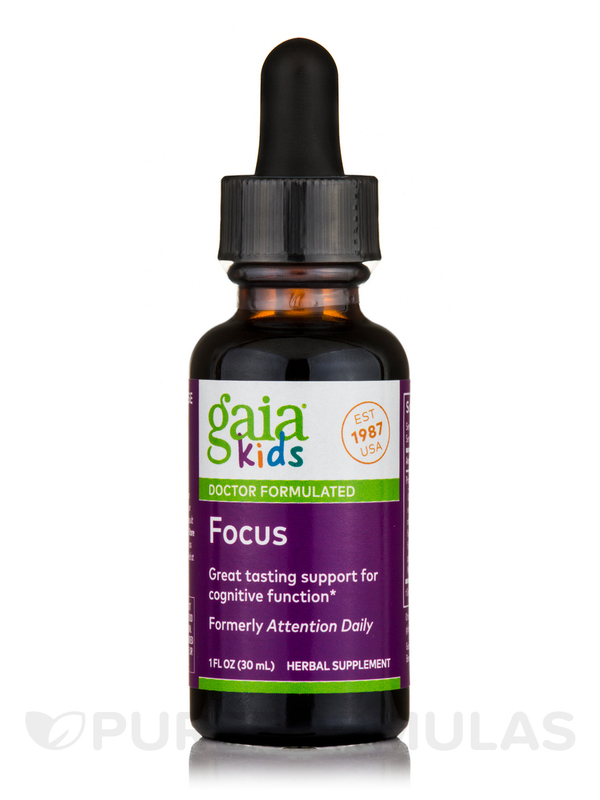 Try Attention Daily Herbal Drops for Kids (Alcohol-Free) 1 oz (30 ml) from GaiaKids® today! Don't know, I did not use it. The dropper has mold inside the dropper tube so I did not use it. this is the best price ive found on this supplement we use this daily so its nice to find it at a better price. the item also arrived VERY quickly which was so helpful as we had ran out! This truly does work. While it doesnt correct my childs behavior completely theres a significant difference in his focus when he is off of this supplement. Very noticeable difference! I cant believe how well Attention Daily Herbal Drops for Kids works!!! Im extremely happy and satisfied with these drops my daughter has been take them for 3 weeks now and is getting As Bs at school! Even here teacher thanked me for working with my daughter with her because she could see a huge change in her! Thanks to Attention Daily Herbal Drops for Kids I really dont have to spend long hours explaining every question on her homework. She just gets now! I love the fact that I can just put the drops in her favorite drink!